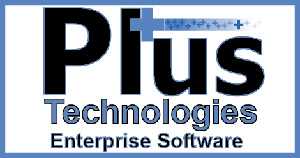 Plus Technologies recently went live with a knowledge base page on our website. Our knowledge base page is located under the support tab on our website. This page will contain terms related to output management software and their definitions. 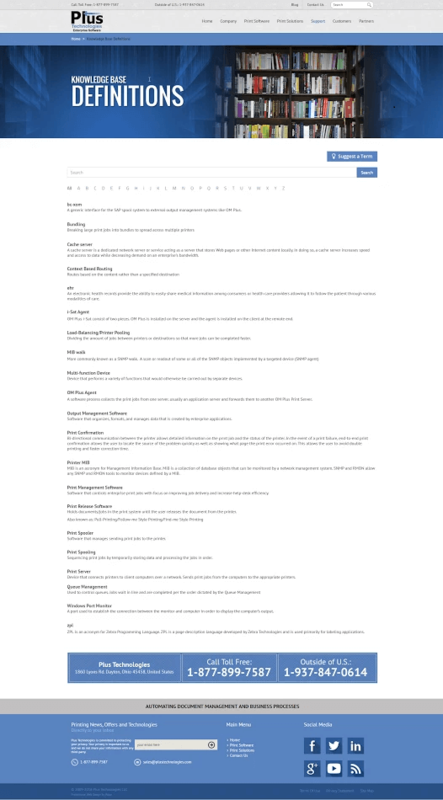 This knowledge base page contains commonly used terms in our field. This page also contains terms that people may not know. The purpose of a knowledge base page is to have a cache of terms and phrases with their definition and description. We have also added a feature to suggest additions to the list. Moreover, terms will be listed in alphabetical order and will also include a search feature for easy accessibility. Suggesting a term is as easy as clicking the ‘Suggest a Term’ button and then filling out the two required fields. The two fields are the term and then a definition or description of said term. Plus Technologies hopes a knowledge base page on our website will help improve communication and increase the amount of information our customers can access. Knowledge Base is now available on our website. Click here to see. If you have any suggestions for terms and/or definitions please let us know. 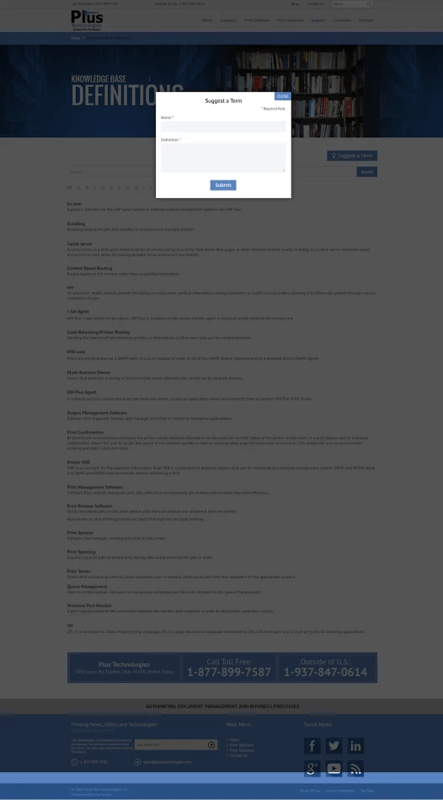 Below are some screenshots of what the page looks like. Plus Technologies is always working to improve our website and to help our customers and partners learn more about Output management. Knowledge Base is now available on our website. If you have any suggestions for terms and/or definitions please let us know. Plus Technologies serves customers of all sizes as our products, licensing, and pricing is scalable upwards and downwards. We have departmental as well as enterprise wide output management software implementations. Moreover, we have successfully sold into many Fortune 500 organizations. One reason for our success is our willingness to respond quickly to our customer’s unique requirements. First, we listen to the customer to understand their environment and their needs. In addition, we work the customer to determine the optimal solution. We are able to quickly make enhancements to our products to meet specific needs. Moreover, we offer pricing and licensing flexibility to suit our customer’s budget. Furthermore, we are highly experienced with implementation services. Lastly, we provide world class support. This recipe has served us well over the years and as a result we have an extremely loyal customer base. Please contact us to learn more about our company and products. You can count on us to do our best to help you solve your document and output management issues.